My prayer binder started when I stumbled on this amazing video on YouTube from Gina Garland. And I customized with the tips and practical information from the book The Hour that Changes the World. 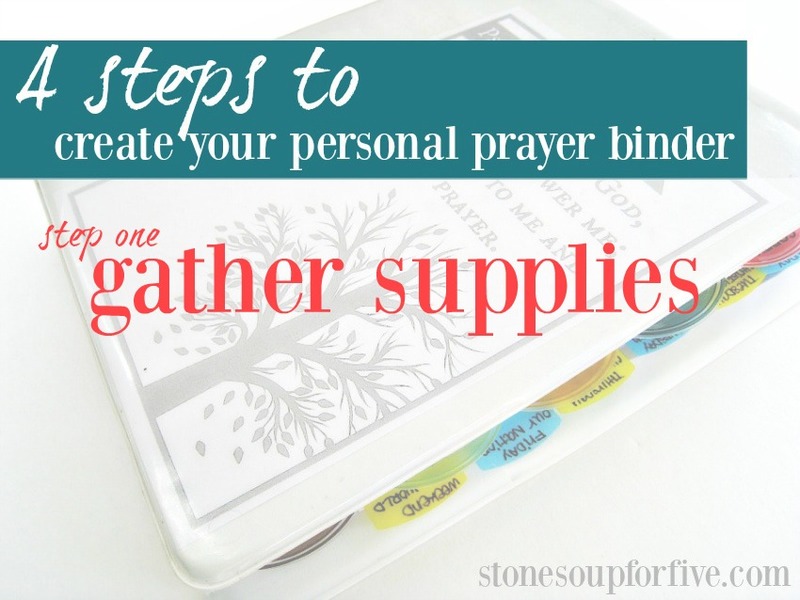 But let's take a quick walk-through of how I set up my prayer binder. I have all the links listed on the resources tab above if you want to see exactly what I use in my own binder. I bought a half sized binder so that it would easily fit into my Bible tote bag and be easy to grab and go. Full size binders kind of make me crazy, and these half binders are cute and practical! 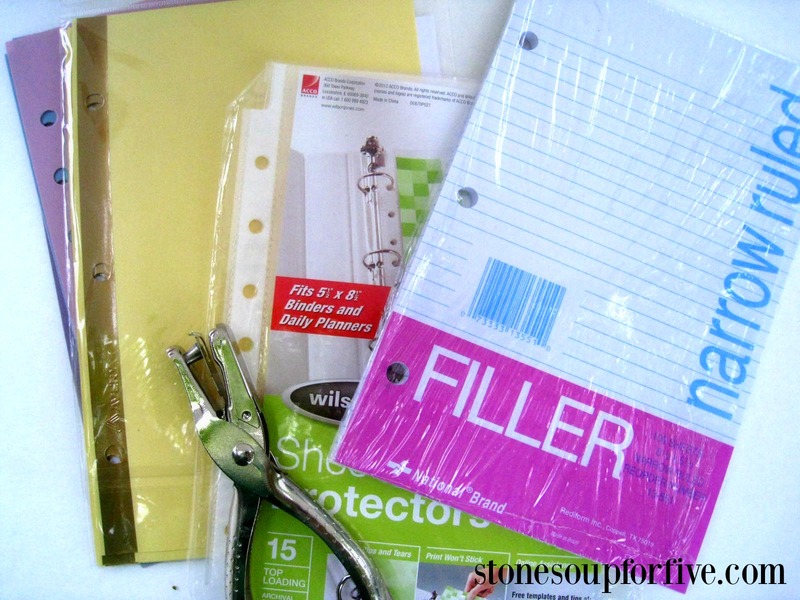 You'll need the right sized filler paper for your binder and a hole punch and scissors. You'll also need tabbed dividers. 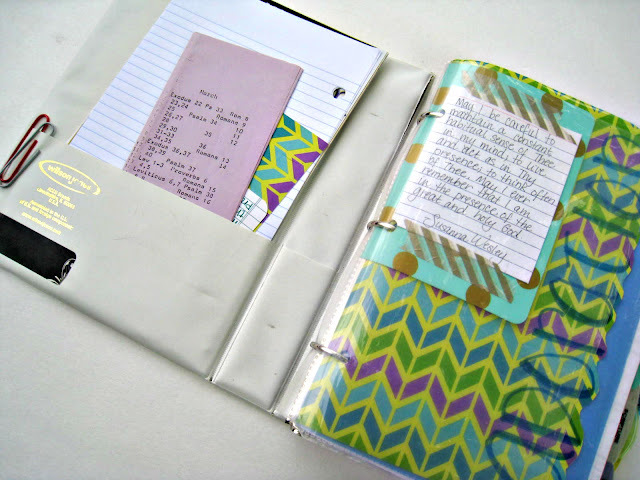 You can use stick-on tabs, paper dividers with tabs, or the full plastic dividers. Sheet protectors are also nice, but I only use them at the beginning of each section. Most of my prayers and thoughts are simply hand written on filler paper. Then you get to add the fun stuff in! Most of this I already had, but some I've added as I've picked items up from stores on sales or clearance. You can use things like washi tape, date stamp, stickers, flags, cards, anything that adds some fun and color to your journal because you'll be looking at it day after day for hopefully years to come! So gather all that stuff, and then come back for the next steps to set your journal up. Be sure to hop over to see Gina's video, and also watch a video of a chat I had with my sister-in-law about her prayer notebook! How many tabs will I need? That depends on how many people you want to pray for specifically. If you want to set up your binder similar to mine, you'll need 15 tabs, plus one for each immediate family member you are praying for. Since I have 4 other people in my family, I used 19 tabs total. 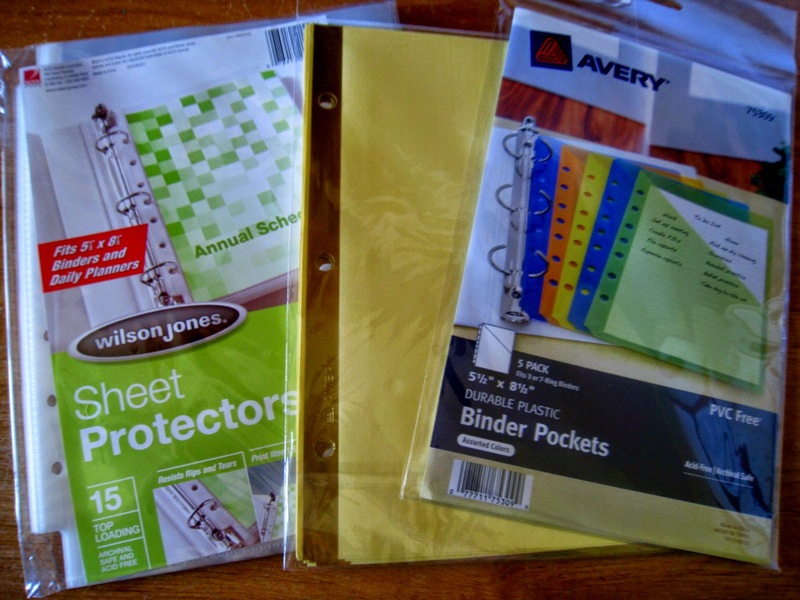 BUT, I didn't buy that many dividers, I used a mix of the post it tabs and the plastic dividers. 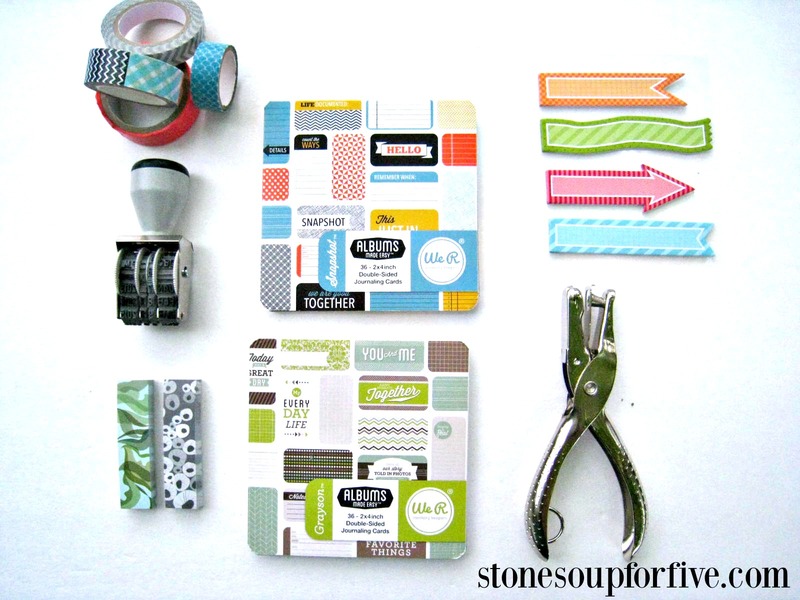 You can set this up in a full sized binder with what you have on hand. If you are crazy in love with all things half-sized you'll want to purchase new, and then it can run around $15-$25 dollars. If you are on a really tight budget right now, make it work with what you have. It's worth it! I have a big family, how do I pray for everyone daily? Combine family members into one tab. You can combine all the boys, all the girls, all the married, etc. Do you have a link to Gina's prayer notebook list? If you want to browse some of the fun half sized items on Amazon, click here. *This post contains an affiliate link to Amazon for the book and binder items. No other links are affiliate. The half binders are everywhere! I never knew it before... but now that I know, I see them everwhere. I got mine at Bimart, but have seen them at Walmart, Staples, and Office Max. The We r Memories stuff was at JoAnn, and paper flags are basically skinny post-it like notes, sticky on one end. I found these at a Japanese store here in town, but there are some at any office store, Target, etc. Have fun! Thank you for your helpful tips on a prayer binder. I always wanted to start one, but just didn't know how to begin. Your ideas are just the incentive I needed! I ordered mine from Amazon but I also saw the paper at Wal Mart just the other day. What date stamp are you using? I really like your set up.